One morning last week, James called to ask if we had plans for evening. He said that he and Zandra had received a hefty parcel on their doorstep: a box of fresh Gulf oysters, courtesy of Dorothy and Bob, a reminder of our recent trip to New Orleans together. They had no idea how they were going to eat them all. So that evening, they knocked at the door carrying a huge Styrofoam cooler and a couple of bottles of wine. 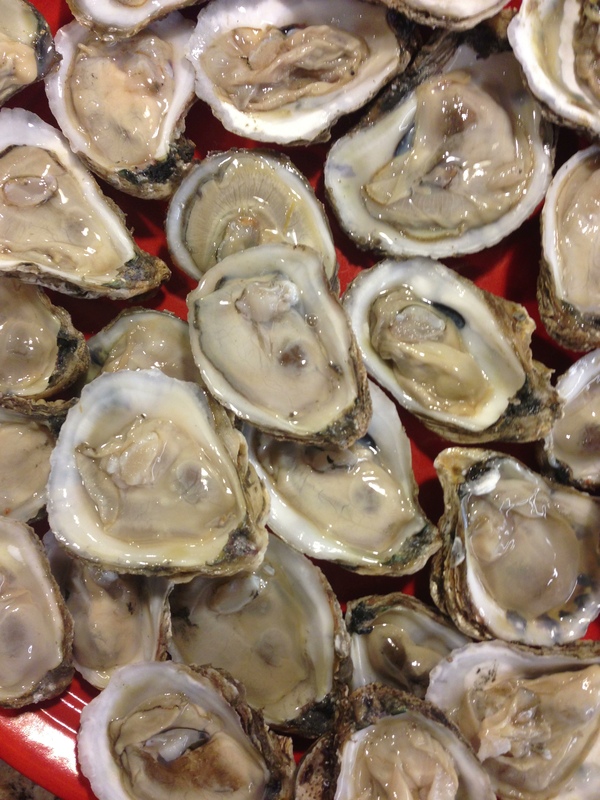 An inquiry to our benefactors revealed that the oysters were from Joe Patti’s Seafood Company in Pensacola, Fla. Dorothy had ordered two bags, each containing two dozen. The open cooler revealed a mass of oysters, three dozen (the other dozen J&Z saved for another meal), certainly more than we could eat in one sitting. But, reminding ourselves that this was not our first oyster rodeo, we poured some wine, snacked on a bit of cheese, and got down to shucking. And the feast began. 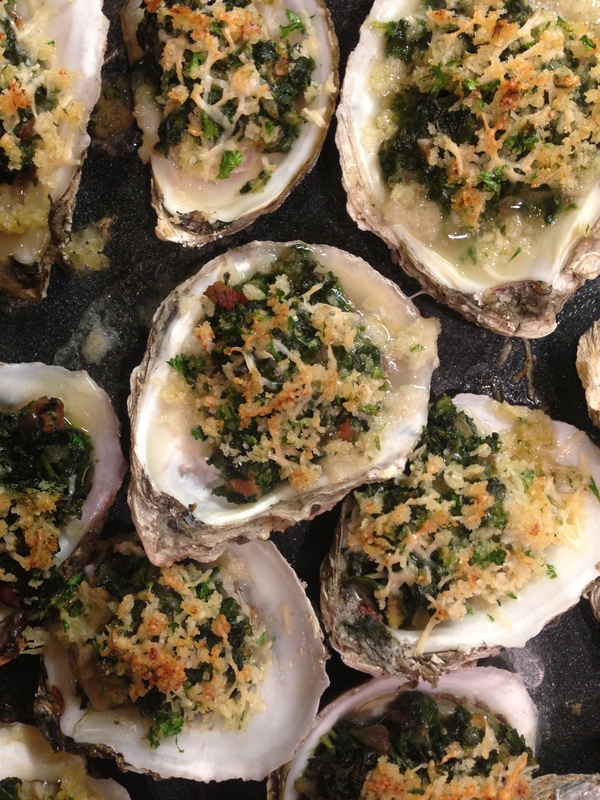 The Rockefellers were consumed in moments, bright and savory with fresh spinach, a bit of cheese and a hint of anise. Then, on to the raw: a squeeze of lemon, a splash of homemade mignonette, a dab of horseradish cocktail sauce. Top, slurp, repeat. These oysters were so fresh and clean-tasting, we might as well have been seaside. Before we knew it, the mountain of oysters was a pile of shells. An oyster dinner paired with wine and cheese and crackers. Feast indeed.